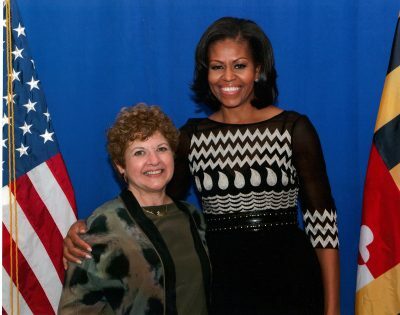 Dr. Miriam Labbok with then First Lady, Michelle Obama, in 2012. The history of CGBI is intricately woven into the career of the late Dr. Miriam Labbok. 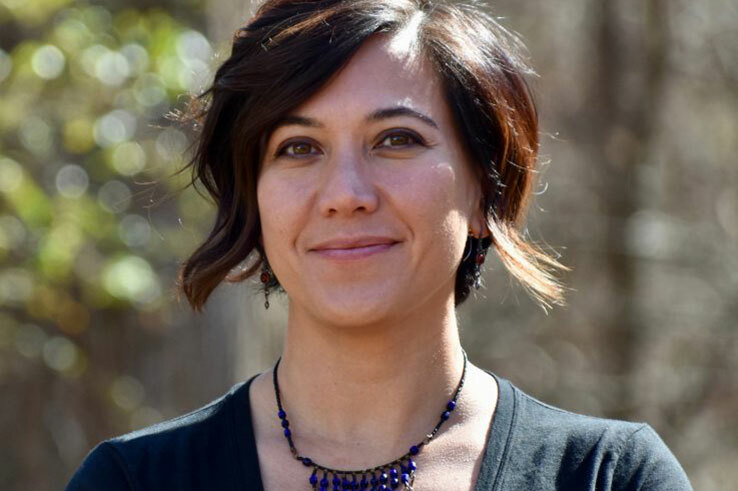 Miriam was invited to move to Chapel Hill, North Carolina to lead a new organization focused on improving breastfeeding rates in NC, the US, and globally. Started in 2006 and originally called the Infant and Young Child Feeding Center, our name eventually changed to CGBI as the organization matured. 2016 marked our 10-year anniversary. Prior to moving to North Carolina, Miriam served as Senior Advisor for Infant and Young Child Feeding at UNICEF (2001-2005), Chief of the Nutrition and Maternal/Infant Health Division of the Agency for International Development’s (USAID) Office of Health and Nutrition from (1996-2001), Director of Breastfeeding Initiatives for the Institute for Reproductive Health at Georgetown University (1986-1996), and conducted earlier work on reproductive health, breastfeeding and the development of the Lactational Amenorrhea Method for postpartum birthspacing. 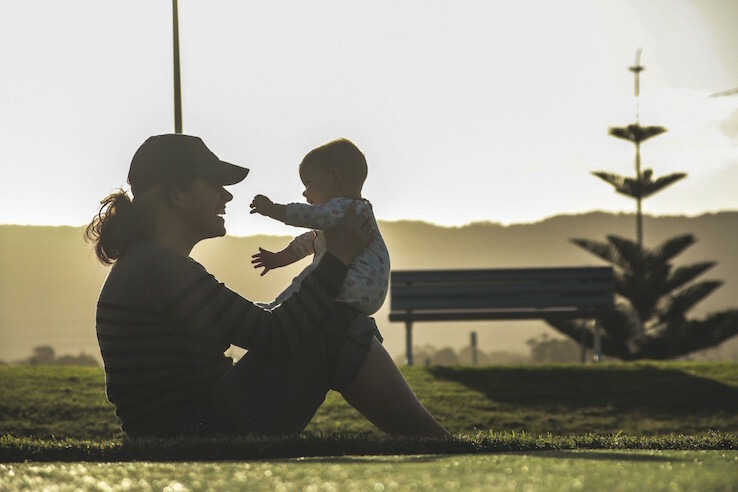 Miriam grew CGBI through US-based program implementation grant funding relating to breastfeeding friendly health care and child care. 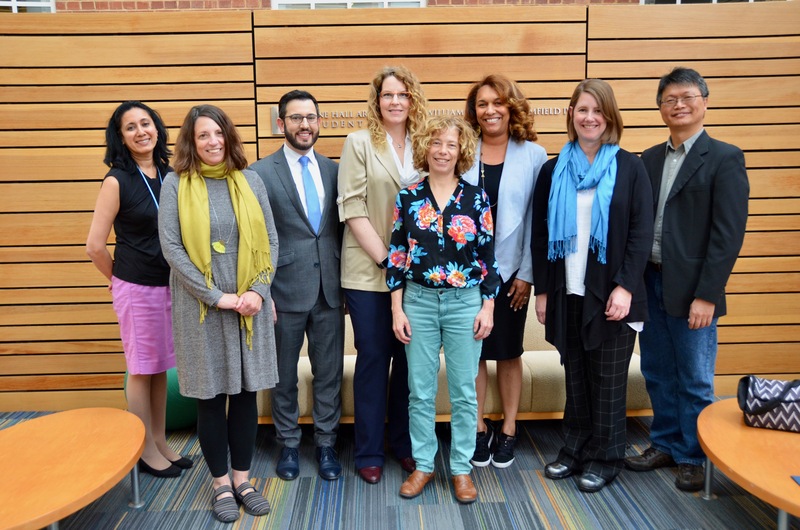 Throughout this time, she continued to offer service work through various roles with international organizations such as the International Health Section of the American Academy of Public Health (APHA), CORE Group, the UNICEF/WHO-led Global Breastfeeding Collective, and the World Alliance for Breastfeeding Action (WABA), where she served as representative for the North American region (WABA-NA). The relationships and collaborations established during CGBI’s first ten years under Miriam’s leadership serve as our foundation. We continue to grow and expand upon these efforts to carry on our mission. We remain grateful and will always remember the unforgettable Doc Labbok. Our original logo was derived from the Golden Bow, modernizing and emphasizing the two loops of the bow: the mother and baby as a single dyad, or unit. Our activities, however, include all aspects of the bow. 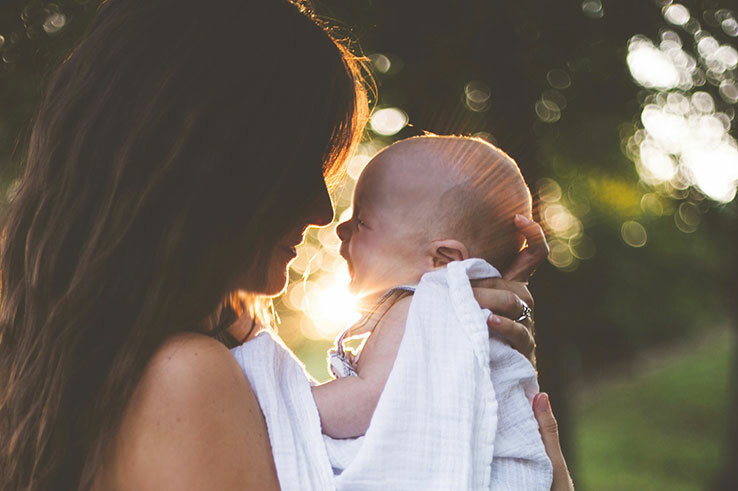 Please discover below why the Golden Bow is endorsed by the University of North Carolina Gillings School of Global and Public Health as the symbol for the protection, promotion and support of optimal infant and young child feeding. Many social change efforts have used a symbol to create a sense of belonging to a unified movement. The Golden Bow serves this purpose: it is unique in that it is both a symbol for social change, and it carries many meanings within its own design. 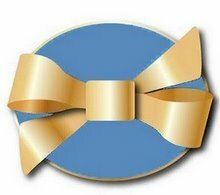 The Golden Bow is a lesson in the protection, promotion and support of breastfeeding, young child feeding and maternal health. 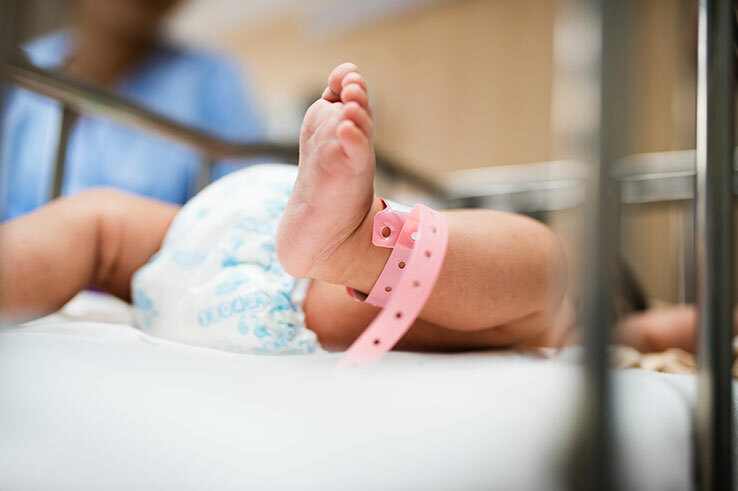 The use of the golden color for the bow symbolizes that six months of exclusive breastfeeding is the gold standard for infant feeding, against which any alternative should be judged. • One loop represents the mother and one represents the child. 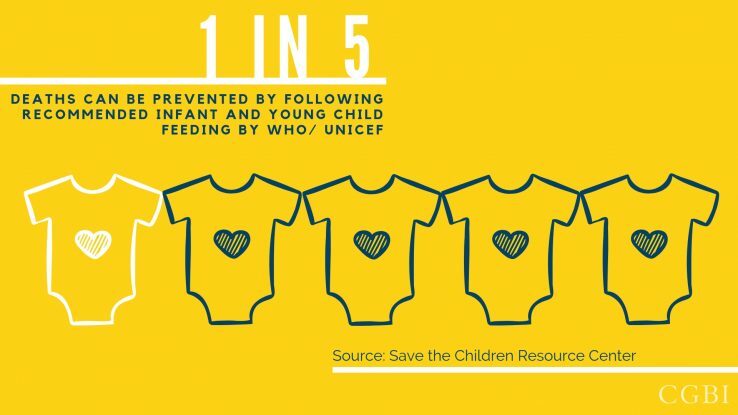 • The ribbon is symmetrical, telling us the mother and child are both vital to successful breastfeeding – neither is more important, and both must be supported. • The knot is the father, the family and the society. Without the knot, there would be no bow; without support, breastfeeding cannot succeed. • The streamers are the future: one for continued breastfeeding for 2 years or more with appropriate complementary feeding, and the other for adequate delay of the next birth to give the mother and child time together, to recover and to grow, and to give the mother the time she needs to provide active care for the health, growth and development of this child. By wearing the Bow, you are stating your commitment to create and sustain change! See us at any exhibiting location and we will gladly provide you with your own Golden Bow pin.